Shimmerz Paints: Out to Impress! All I added there was a touch of pink and celery Shimmerz! The image was initally colored with Copics; I applied the Shimmerz right over the top for a great look. 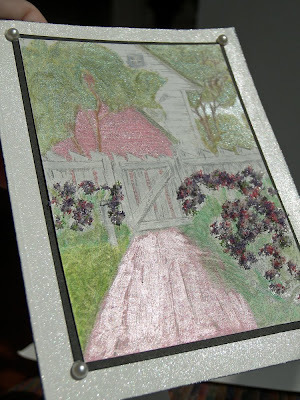 I added a little Flower Soft and pearls and created a gorgeous card with tons of detail! 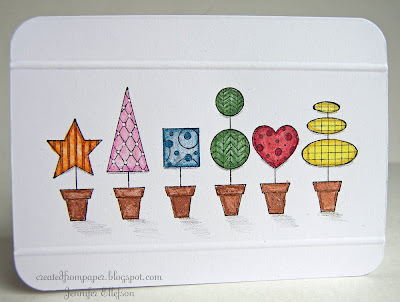 This series of topiaries is just a delightful stamp! I knew right away that this image was just MADE for Shimmerz! 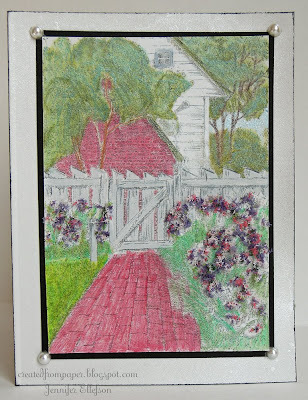 I painted the image first, then added in shading with matching colored pencils. Just look at how beautifully it turned out! Thanks to the generous crew at Impression Obsession. If you're looking for a great line of stamps to use in coordination with your Shimmerz products, this is the perfect one! Jenn, Those are absolutelly gorgeous. I love how you used the Shimmemrz for such great detail too! These are AWESOME! I really lovet the drink! I love the variety in these projects, Jenn. They're fabulous! Adorable samples! 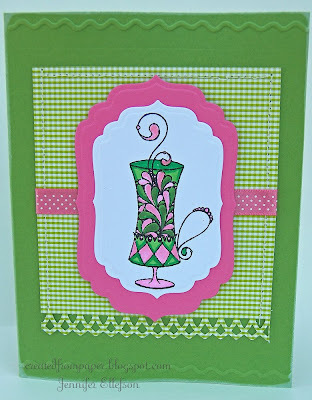 I love those topiaries and the green and pink color combo is so much fun! WOW!! I love your cards! 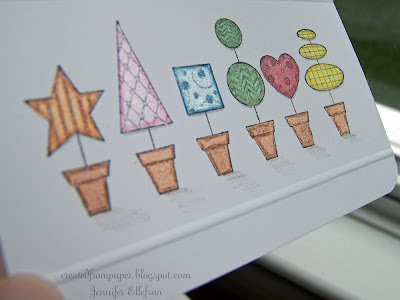 I really love the coloring, and use of Shimmerz with the stamps! I can see you've really had FUN this week! 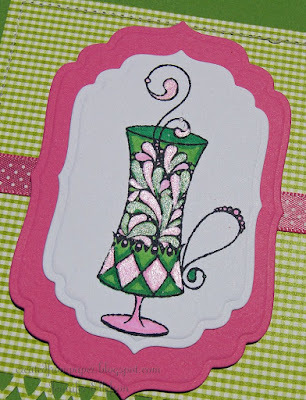 Love the topiaries and the coffee cup...bright and cheerful cards...beautifully done!